Commit to THE CODE with us! As fans, players, coaches, parents, volunteers, officials, and administrators, we all play a part in creating a positive hockey environment – on and off the ice. 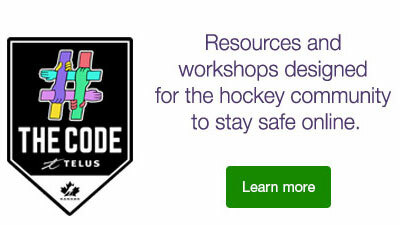 Together, we can create a positive, friendlier world online and on the ice. 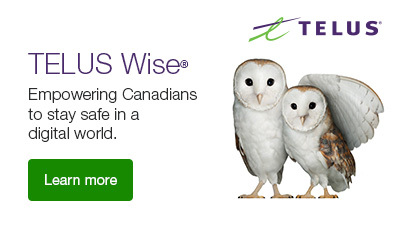 Stand with us and your fellow Canadians to help make our digital space safer. I will always be respectful of my teammates, my opponents, coaches, officials, parents, volunteers and administrators and fellow fans and will not engage in inappropriate behaviour like bullying or making negative comments. Inspire others by sharing a message! * If approved your comment may be shared on THE CODE Gallery Page. Being a good digital citizen is also about taking steps to manage your online reputation, security and privacy, and using technology responsibly, knowing that excessive use can be distracting. Read the tips in The Playbook to learn more.